Every year, just like Christmas, the Adobe Symposium in Singapore seems to appear in my calendar faster than the year before. 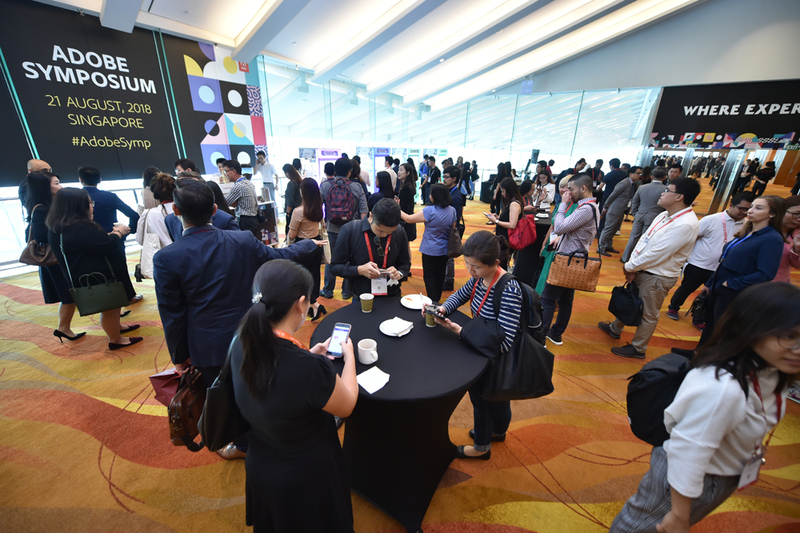 By now, its recipe is based on a proven concept of keynotes, themed tracks and a booth area for partners and sponsors to show their wares. The focus was more than ever on Experience Driven Businesses, a topic that, at least where Adobe is concerned, replaces completely the notion of marketing and advertising. Successful businesses don’t sell products and service, they sell experiences, according to Adobe. With that it seems to have found a positioning that distinguishes from the other leading marketing cloud vendors. Adobe Experience Cloud, anyone? Anyway, here is an impression of the day. 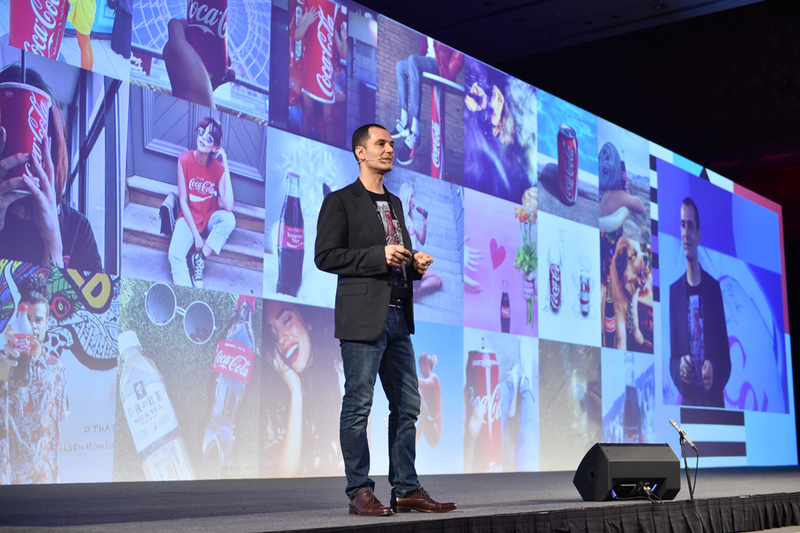 Mariano Bosaz, VP, Digital Transformation, Greater China & Korea BU, The Coca-Cola Company. The Symposium starts with a big central keynote with a lot of corporate communications fireworks, music and videos to go along with and two interesting brands to support it all. 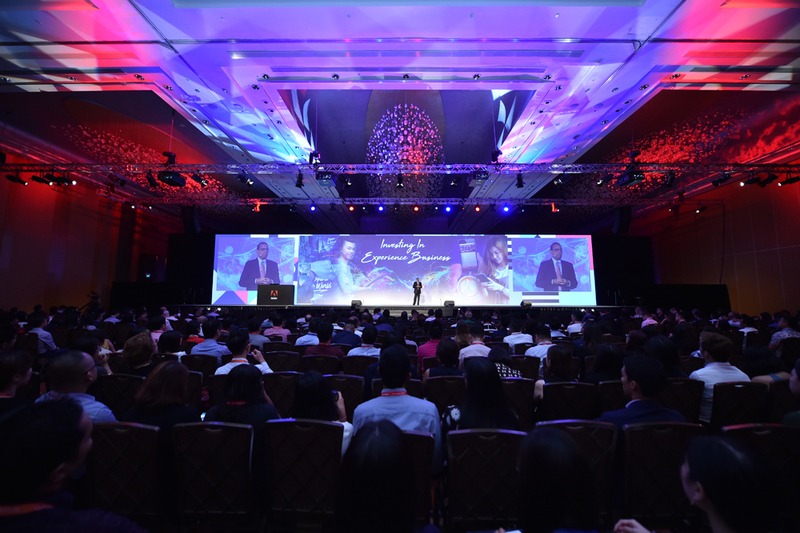 In its wake Coca-Cola presented their take on how they create customer experiences and are changing alongside the consumer over time, followed by ONE Championship, the emerging martial arts media company from Singapore. This literally pitted an established Fortune 500 brand re-inventing itself, against a successful start-up that claims to have a bigger reach and audience than Formula 1. 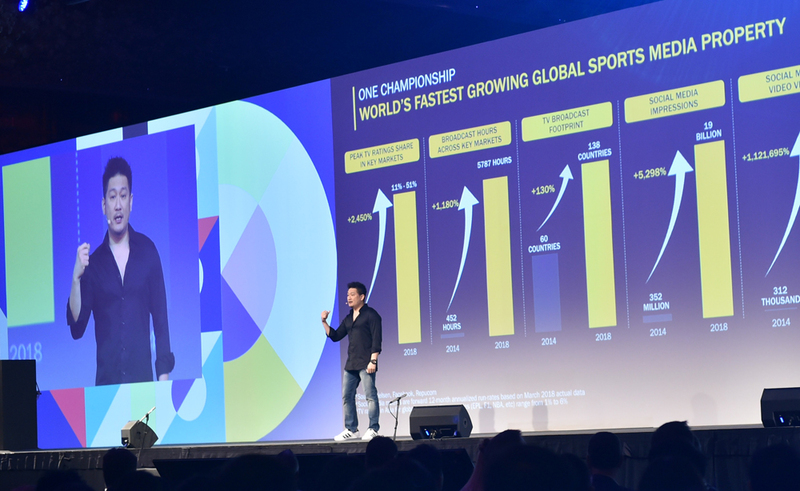 Chatri Sityodtong, Founder, Chairman and CEO, ONE Championship. And as stated, the focus this year is more than ever before on experiences. Brad Rencher, EVP & GM, Digital Experience at Adobe, pitched to the crowd that consumers no longer buy products or services, they buy experiences. This sounds obvious but it was made palpable during the rest of the day. There was no brand that did not somehow testify on stage that they are ‘customer first, customer focused and/or experience driven’. On several occasions it was made clear that is not an easy to implement strategy for all businesses. 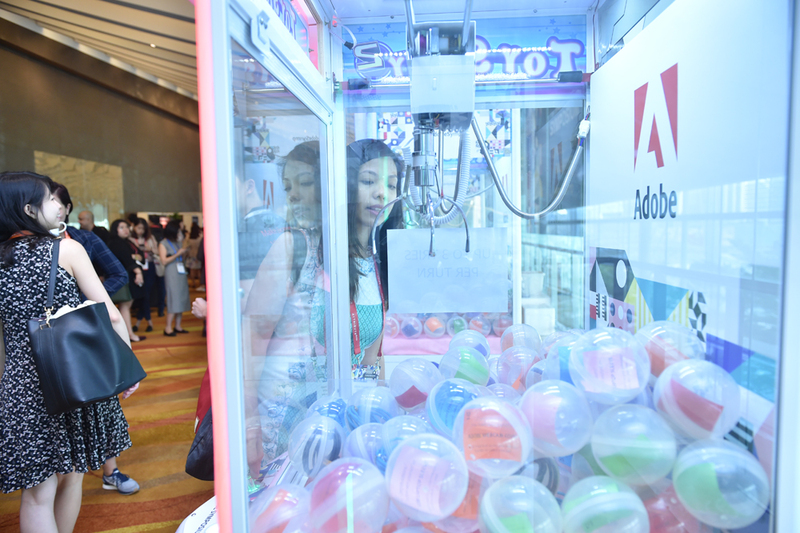 Adobe addressed the audience as ‘Experience Makers’, thereby underscoring the change that they see happening in experience driven companies; people across departments should work together to become an experience business. No longer is only marketing responsible for customer engagement. Everyone across departments and silos can now be, should be, experience makers for the brands they work for. A bold claim and, alas one might say, not yet a reality for all businesses. The remainder of the day was organised around 4 tracks; Analytics, Content & Experience, Email & OmniChannel and Advertising Cloud. 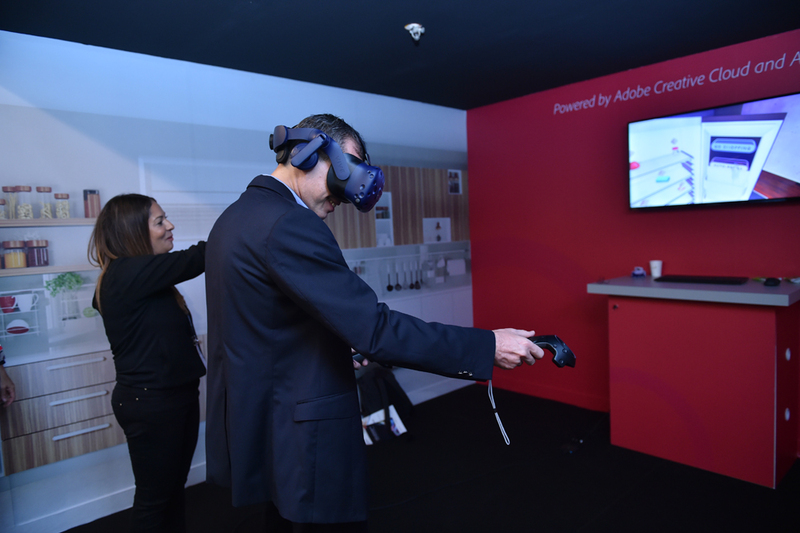 Each track offered a mix of presenters from both Adobe customer portfolio, Adobe partners and Adobe folks themselves. These tracks, organised in smaller side rooms were of varying quality and depth. 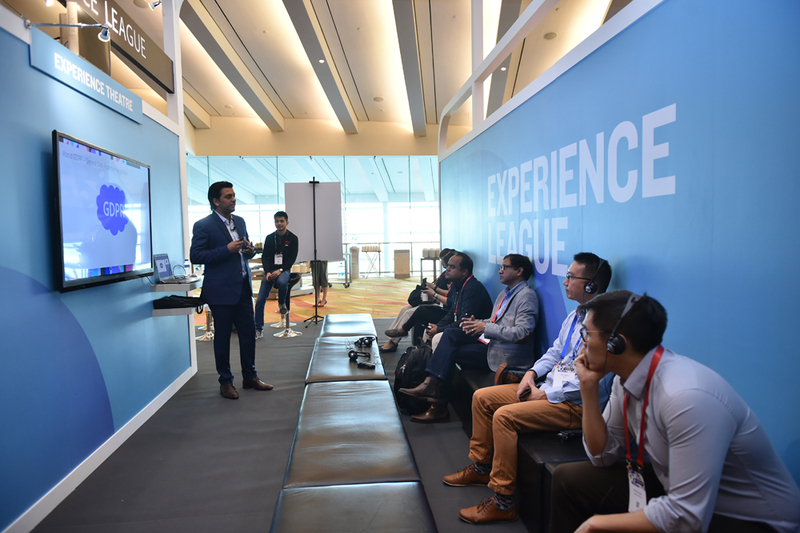 The analytics room consistently attracted a large crowd, which underscores a trend in business today; the quest to integrate data into everything a business does. To add credibility Adobe also presented the results of a Forrester survey, commissioned by Adobe. The main conclusion of that survey was, unsurprisingly: it pays to be an Experience Driven Business. The research classified participating businesses from not at all experience driven, to completely experience driven. It then looked at how experience driven businesses perform. Conclusions were that experience driven businesses do outperform the non-experience driven category. This is one of the first times we saw research with a pure APAC focus. The results are, for anyone who’s interested, available for download at the Adobe website. Once having firmly ensconced themselves on the ‘Experience’ positioning, you have to admit that Adobe is trying really hard to create a framework around it. Not in the least due to the projection of massive interactive slides blasted onto 3 huge ballroom-wide screens, the story looked convincing. Adobe’s focus on the triad of Data, a Unified customer profile and Content, makes sense. Whether it is the ultimate answer for all businesses and how you actually implement and optimise this across different industry verticals, remains an open question. Some businesses like Virgin Holidays and DBS seem to have successfully implemented at least some of the Adobe products. It is refreshing to see that they both Adobe and their partners/sponsors were not constantly harping on about myriads of features and what you can hypothetically do with the, but that attempts were constantly made to link back the technology to customers and the customer experience reality. 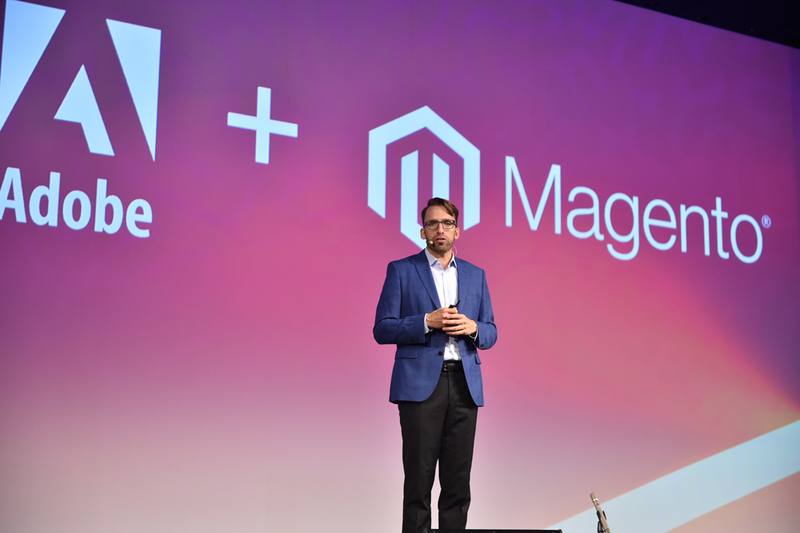 Another big announcement, repeated since it happened a few months ago, was Adobe’s recent acquisition of Magento, highlighted again by Brad Rencher. To the question during the executive briefing about whether this means that this is an opportunity for Adobe to venture into an area where Magento has been traditionally strong, SMEs, he answered that through document cloud and creative cloud, they have a strong presence in the SME space already. According to Rencher, Adobe are convinced that the Magento ecosystem will provide a good entry point to the SME world for the rest of the Adobe cloud products. Rencher also claimed that Magento has already started down the path serving enterprise customers as well. In other words, the Magento acquisition serves Adobe both ways. Adobe’s foray into Data Management Platforms, something they started in 2011 with the acquisition of Demdex, allows customers, according to Rakhi Patel, to integrate 1st, 2nd and 3rd party data in one location. A rather detailed explanation during one of the analytics sessions, provided especially Adobe’s views on their DMP as the centre of what they call a real-time interaction engine. This in turn led to the question of how Adobe addresses one empty box in their cloud product suites; the CRM space. So we asked how they address that. What, is e.g. happening with the Microsoft Partnership that was announced 2 years ago? Brad Rencher and Paul Robson, President for Asia Pacific, explained that first and foremost the Microsoft Partnership is alive and well. Whilst it is interesting that this should be the first part of the answer, according to Rencher and Robson the partnership is actually leading to joint initiatives. These are to be found in the areas of Microsoft Dynamics integration, Azure as a preferred cloud hosting environment and finally in the area of AI and Machine Learning, which in turn strengthens the Adobe Sensei offering. We sincerely hope this will be part of a future announcement. Adobe Symposium 2019, perhaps? The takeaway from a day of listening to Adobe customers talking about their experience to use Adobe solutions to deliver customer experiences is quite frankly that you can’t deny that Adobe has a strong vision and a compelling product portfolio to back that vision up. The final keynote by Tim Urban put the focus on the unstoppable emergence of Artificial Intelligence and Machine Learning. Adobe’s AI is called Sensei and during staged demos, specifically at the end where the present innovations during a show concept called Sneaks, provided a glimpse of what AI is already capable of or will soon be doing. Judging the format of your freshly produced travel agency promotions video? Sensei can compare this for 3 different social media channels and detects e.g. that your 1 minute video is not optimised for Instagram. Not only does it come back with a score, it can shorten the video to 15 seconds and upload that to Adobe Premiere, so that a human being can edit it to a final result. All of this in a matter of minutes. Tim Urban, Creator, Wait But Why. This and 2 other inventions gave us a glimpse into the accelerating area of marketing and experience innovations. 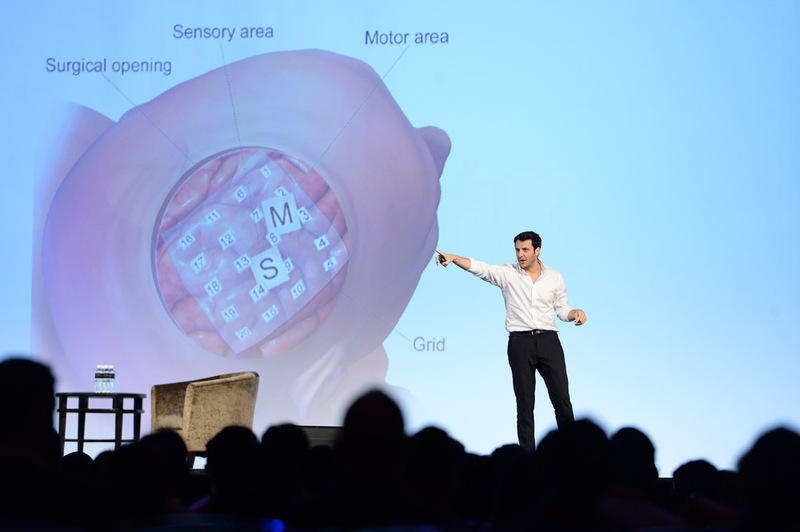 The demos were for me all the more impressive because just before Tim Urban, a renowned TED speaker and thought leader, had presented his alarming vision of how AI will soon, i.e. in under 10 years become better than humans at so many thing that we need to start wondering where that will leave humanity. Not that he had the answer. He had some very compelling graphs that made it obvious beyond doubt, that AI will soon drastically change our lives. 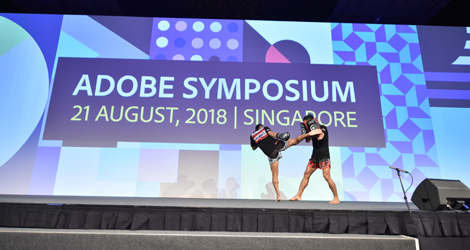 Adobe Symposium is back in Singapore in 2019 around the August time frame. And remember, it will come earlier again next year so set up a reminder for it. Steve Hammond, Senior Director, Digital Experience, Adobe. V. R. Srivatsan, Managing Director, Southeast Asia (SEA), Adobe.